Use our F&D Referral Code and get a 100Rs discount on your first order. Apply this code at the time of signup. 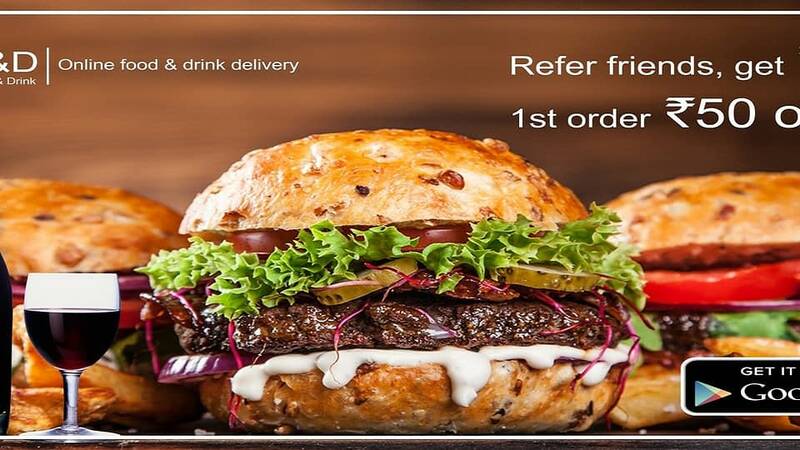 F&D – Food & Drink Delivery App Eat what you like, where you like when you like. Find the local flavours you crave, all at the tap of a button. Browse local restaurants and fast food favourites for inspiration. Or get just what you’re looking for by searching for a specific restaurant, dish, or cuisine. Pizza. Burritos. Burgers. Sushi. If you’re hungry for it, try f&d. Avoid using Google/ Facebook signup buttons for signup, You may not get benefits. Live Order Tracking: No more calling the restaurant to check if your order is prepared or picked. On F&D, you’ll be able to live track your delivery right from the restaurant to your doorstep. Pay instantly, on delivery, or later: Pay instantly using VISA/MasterCard Credit or Debit Cards Or By Paytm. You Can Pay By Cash On Delivery Also.